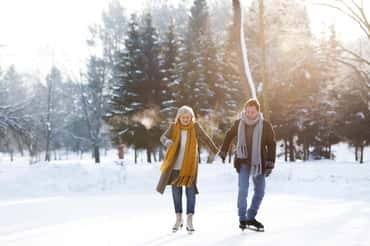 What do the stars say about love, career, and health for Virgos in February 2019? Just in time for Valentine’s Day, Virgos will be receiving powerful energy from Mars on 2/14. Mars will make you courageous and have you longing for love. This could be a great time for love. Venus will be true to Virgos from February 3rd through the end of the month. This is a time to keep your eyes and your heart open, and see who you might meet. In terms of energy, this will simply be a perfect time for love! The sun will be in the sign Aquarius through February 18th and forming a quincunx aspect. This could be stressful and difficult, but these influences will only strongly impact the individual birth dates for 1 - 2 days at a time and then subside. However, you will be able to overcome this energy if you consciously work to do so. If you focus on order during this time and clean up, look through your books, etc., this work will help enliven your body, spirit and soul and create deep satisfaction. After February 18th and through the end of the month and beyond, the sun will be in the sign Pisces. It will be in opposition, making this a good time to take care of yourself and especially take care of your health. The idealistic sign Pisces, which is in exact opposition to Virgos, has interests that directly oppose those of Virgos, who tend to focus on material interests. Your learning task during this time will be to take on the idealistic attitude of your counterpart. If you try to do so seriously, you will be able to overcome most of the differences between Virgos and Pisces. Mars will form a 150 degree angle (quincunx) through February 14th. This means you should carefully consider where to best utilize your energies to achieve optimal results. On 2/14, Mars will then move into the sign Taurus and form a lively trine that provides the energy to do many things almost effortlessly. You will have more courage than normal, enjoy your work and feel strong sexual urges. The planet of abundance, Jupiter, which is also known as the planet of luck, will form a square to Virgos through 12/2/2019. The square aspect is one of tension, meaning that you will have repeated opportunities, but may have to work hard to take advantage of these. Success won’t simply come to you, but this is the kind of challenge Virgos love to take on. Saturn will help you do so with a positive trine that will remain throughout the entire year. The planet indicates that anyone ready to work hard will certainly reap the benefits. Mercury will remain in Aquarius through February 10th, forming a quincunx aspect that hints at reorientation. You should carefully consider and ask yourself whether it is time to make a change in the areas of communication and career. If so, you should take the appropriate steps to do so. If changes are necessary but you do nothing to achieve them, problems will continue to pop up later on. after 2/10 you should use caution. Mercury will be in an oppositional position that could lead to mistakes, misunderstandings and even lies. Venus, the goddess of love and art, will be in the sign Capricorn through the evening of February 3rd. Capricorn is an earth sign related to Virgos, and the planet will form a beneficial trine that will remain in effect through the end of the month. This means it will be an outstanding time for love, friendship, marriage, family, social engagements, art and everything beautiful and good in the world! Motto: Enjoy it!